I am a retired bank executive in srilanka. Willing to get retirement visa. Can I submit my application at your office if I bring the related documents including the bank deposit certified letter. Can I obtain retirement visa if I bring all the required documents to your office. 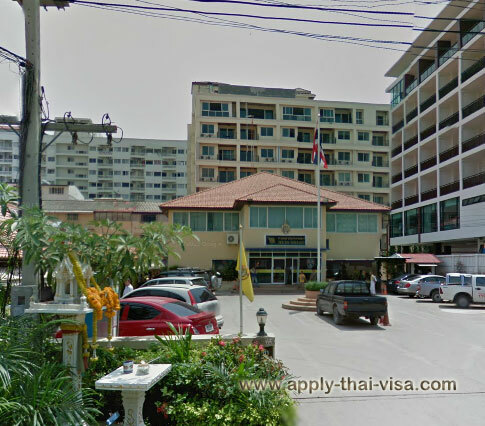 Can I submit my retirement visa application to your office and obtain retirement visa from thai immigration chombri immigration pattaya office. 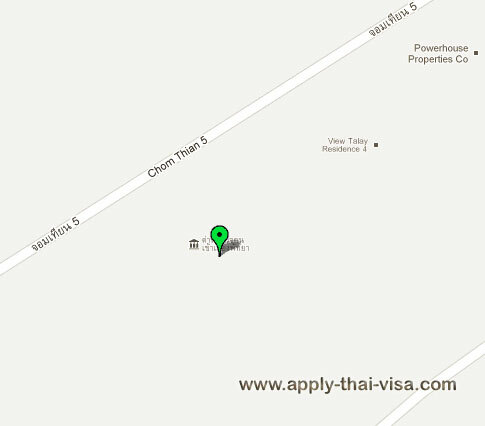 You can submit your application at Chonburi Pattaya. Here is the office address and look for Tuk. I must get a new passport because there are no more free pages in my present Danish passport. In my present passport there is a valid non immigrant retirement visa and a valid reentry permit stamp. Thai immigration in Bangkok has advised me that the visa can be transferred to my new passport when I come back to Thailand. However my present passport will be punctured (holed) on the first 2 pages when I get the new passport. My question is: Can I still use the valid reentry permit in my old (holed) passport for entering Thailand at Suvarnaphumi airport immigration? Yes, you may travel to Thailand by showing your old and new passport. When you get to Thailand, we recommend that you visit the immigration office to process the transferring of your retirement visa stamp from the old passport to the new one. I am a 73 years old Danish citizen who needs to get a new Danish passport because there are no more free pages in my present Danish passport. In my present passport there is a valid Thai non-immigrant retirement visa, a valid 1 year stay permit (until January 2016) and a valid one-time reentry permit stamp. For all this I have paid 2900 bath. On my last 5 month stay, Thai immigration in Jomtien, Chonburi, has advised me that the visa and stamps can be transferred to my new passport when I come back to Thailand in November. However my present passport will be punched with holes on the first 2 pages when I get the new passport. The visa and stamped pages will not be punched. Can I still use the valid reentry permit in my old (punched) passport for entering Thailand at Suvarnaphumis airport immigration? Please hold on as we are endorsing your questions to our immigration specialist. We will get back to you as soon as we hear from them. Before how many days is available to extent 90 days ? Before 15 days or 7 days ? You may apply for an extension to your visa as early as the 45th day prior or from the date of the visa expiration. I would like to ask for Thai visa with multiple entry (long-term visa) for business purposes by my office colleague. Can I apply on behalf of my colleagues? You will need to check if the Thai embassy or consulate where you plan to submit the application will accept your submission. In most cases, personal appearance is required. If not, there are some offices that accept applications by mail.